As you may know, Four Roses was the top selling Bourbon in the U.S. in the 30s, 40s and 50s. However, Seagram made the decision to discontinue the sale of Kentucky Straight Bourbon in the U.S. and sell only blended whiskey here. Four Roses Kentucky Straight Bourbon was moved to the rapidly-growing European and Asian markets, where it quickly became the top-selling Bourbon, and remains a top-selling Bourbon in both Europe and Japan today. Meanwhile, Four Roses Blended Whiskey sales began slowly declining in the U.S. due to a gradual change in taste preference of American consumers. 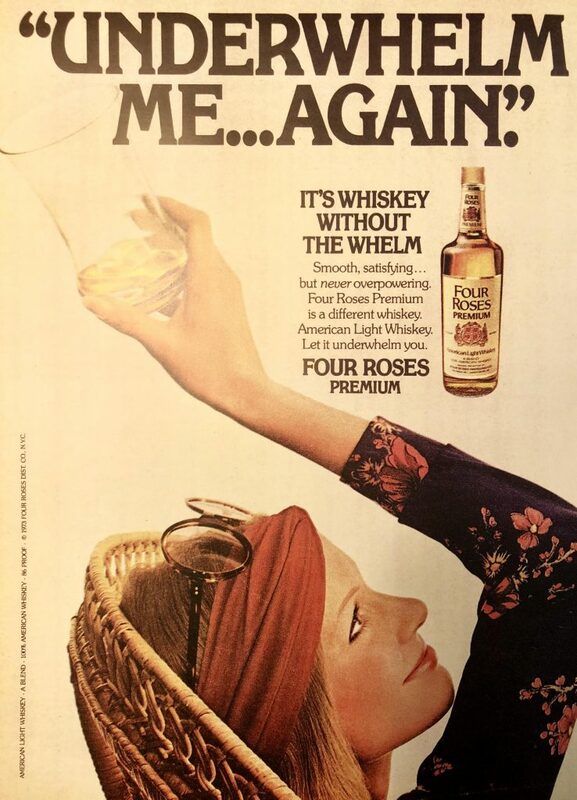 So, in the 1970s, Seagram launched a new Four Roses product—Four Roses Premium American Light Whiskey—which was claimed to be America’s highest-selling “Light Whiskey” at the time. 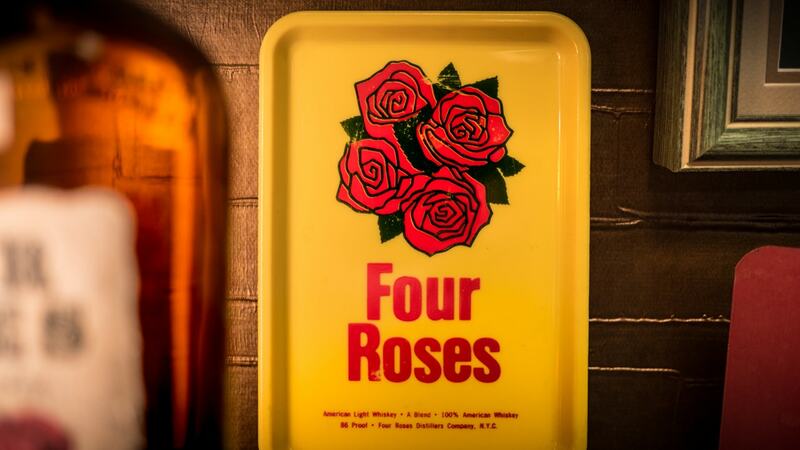 This product was similar to another product that the brand launched in early 1971, Four Roses Premium Blended Whiskey. At this time, a young man named Jim Rutledge, who would later become one of the world’s most legendary Master Distillers, was working with Seagram in the Louisville Plant’s Research and Development Department. In 1975, he was transferred to Corporate Headquarters in New York and worked there until 1992. Take a look at more Four Roses artifacts and memorabilia commemorating the 130-year history, and share your own pieces of Four Roses history here.